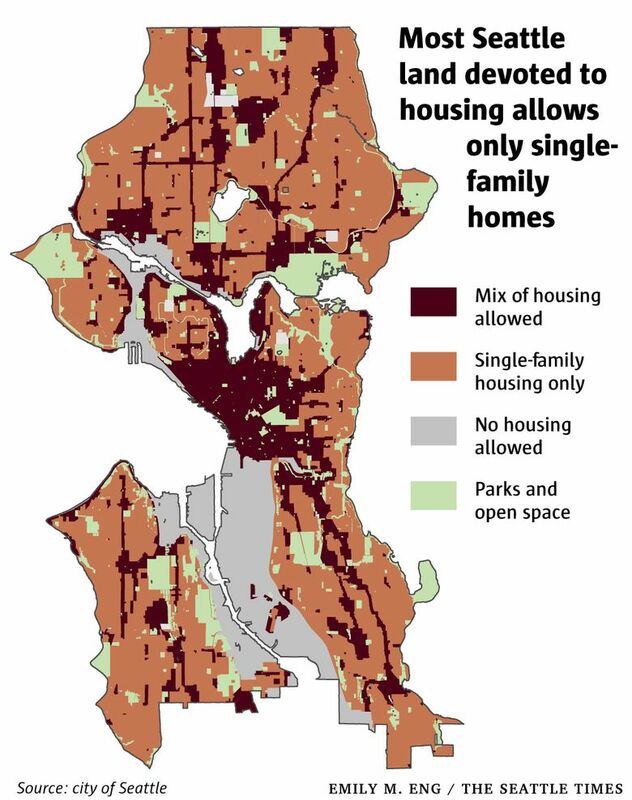 The single-family zones that make up about 75 percent of Seattle's residential land have accommodated just 5 percent of all new housing added in the city this decade, according to the planning commission's report released Monday. The commission closes the report by acknowledging how its findings will not be taken well by everyone, which chair Tim Parham reiterated in an interview. 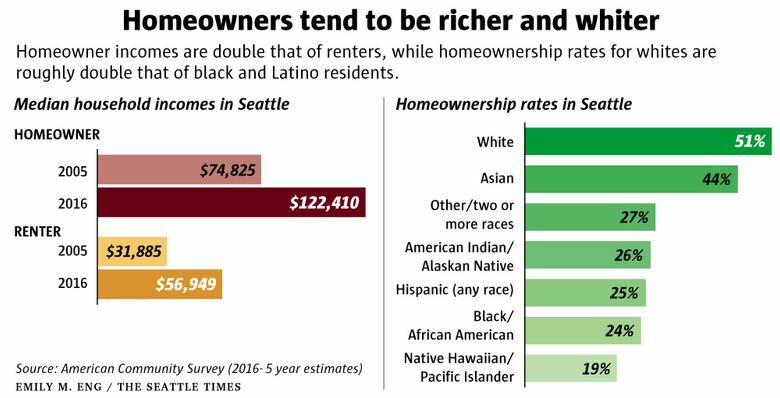 • Single-family neighborhoods mostly accommodate a certain type of person, namely high-income and white residents. 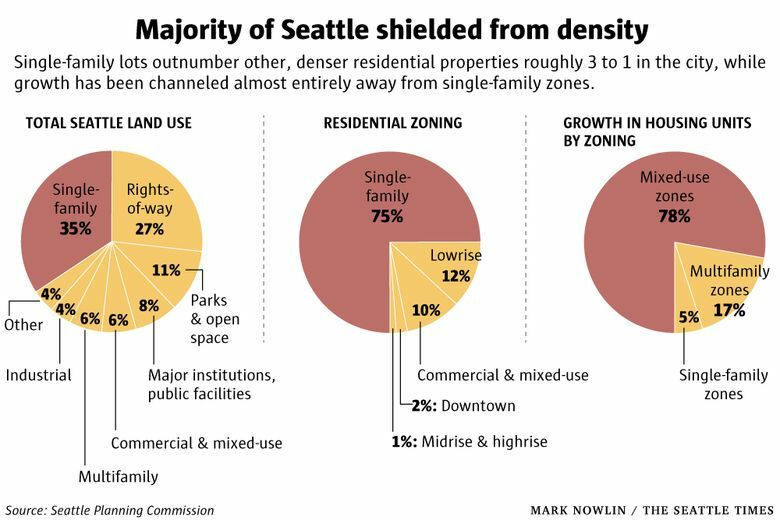 Altogether, single-family zones that make up the vast majority of the city’s residential land have accommodated just 5 percent of new housing units built this decade. 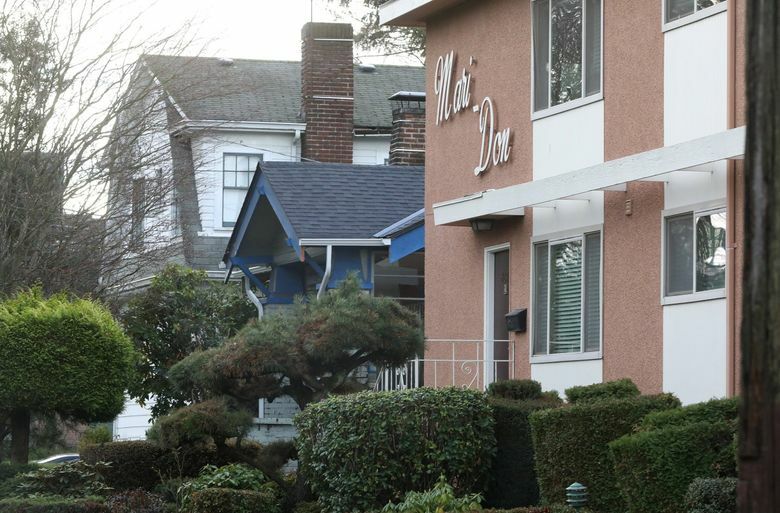 • Although concerns about “neighborhood character” aesthetics often frame debates about preserving single-family zones, buildings are in fact getting bigger in those neighborhoods — through construction of McMansions that only the rich can afford. 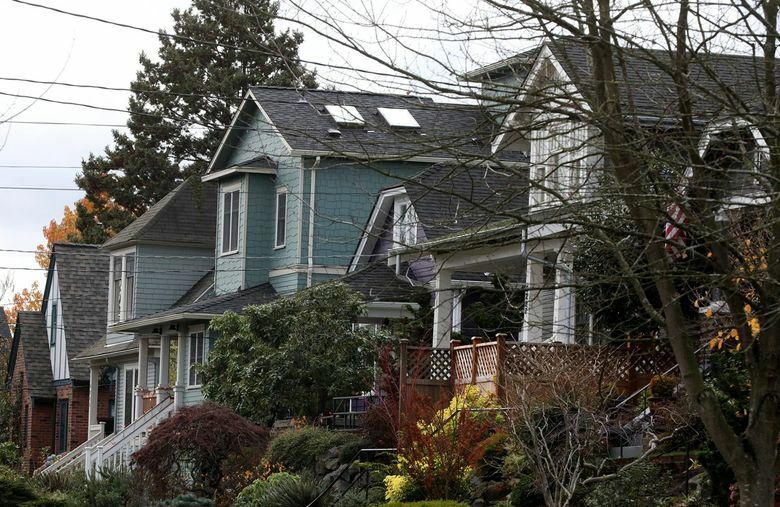 Because developers have been tearing down smaller, older homes in favor of large new ones that cater to luxury homebuyers, the average size of a new detached house in Seattle has soared 31 percent since 1990, from 2,660 square feet to 3,487 now. Those new houses are often one or two stories taller than neighboring houses and carry a median price tag far above $1 million. Staff writer Dan Beekman contributed to this report.